In a previous blog post, I discussed how the process of listing a home is broken down, specifically for people that reside outside of the United States. Today, I will focus on the selling process, and what you can expect to happen once your property is officially under contract. 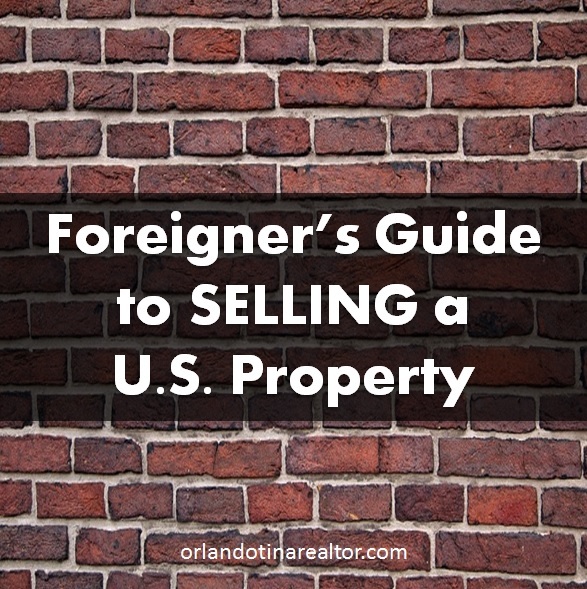 Again, this is meant to help inform foreigners who are selling property within the U.S., as some parts to the process differ from what you may be used to. 3. You can reject the offer (which can be done in writing or simply by not replying). It is always a good idea to counter offer. Once both parties accept the offer, a contract is signed by both parties with the accepted terms and escrow monies are deposited with the title company. A title company is normally used in facilitating the closing, researching the property title, researching if there are any liens on the property and keeping the escrow. Both the home inspection and termite inspection will be performed by the buyers within a maximum of 15 days. The number of days will be outlined in the contract. Once the inspections are done, depending on the results repairs will or will not be negotiated. At this point if the inspections results are not satisfactory to the buyers and an agreement is not reached between both parties, buyers can opt out of the contract. While the inspections and appraisal are performed by the buyers, the title company will research the title of the home for any liens, encumbrances etc. If there are any issues found, closing for the property will be delayed until the issues are resolved. Once the appraisal contingency is cleared, a loan commitment for the buyers will be issued by the buyers’ mortgage company. At this point a closing date will be set and the title company will work with both parties to close the deal.